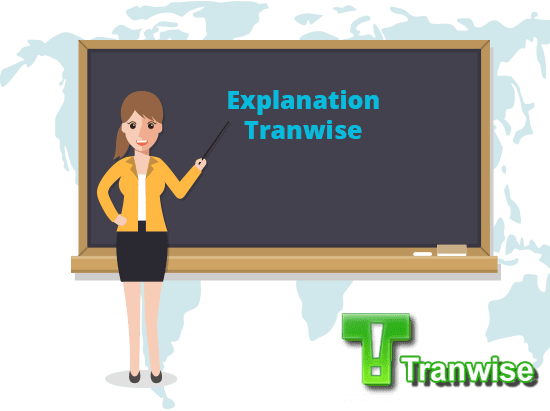 Please note, this is a translator tutorial for Tranwise, our translation management software and it is meant for our translators, linguists and web engineers. If you are a client looking to have something translated, please get in touch by live-chat to get your free quote. Being the owners of a fast growing translation company, we know that every area in our business should be fully optimized. Apart from the team and the process of translating the whole lot of documents, websites, apps and so much more, we make sure that our technology stays up to date. As much as we are concerned about our clients and their projects, we are equally careful about providing assistance to our translators. Our translation management software is an emblem of our proficiency. It is custom developed software made to process the projects in the most accessible way for our translators. The software has been designed by our in-house engineers and it is meant for convenience for the users. We believe that it is our responsibility to elaborate in detail how our translation management software works. Not just for our clients or inquirers, but also for our translators. Our revolutionary, user-friendly software is called Tranwise. Getting jobs by using our translation management software is easy. The translation project management with Tranwise is super easy. Once you have it installed and your account activated, Tranwise will send you notifications of new jobs the moment they come out so you can reply to them in real time. 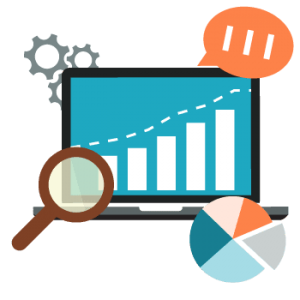 The translation project management software is designed to ensure high efficiency. From the process of translation to proofreading to editing to rechecking, everything is clearly categorized. It is done for both the satisfaction of the client and translators. Tranwise also provides a live connection with translators working with us, which makes assigning translators to projects a lot faster. Our project managers are able to select translators based on their expertise and send them requests to work on various projects. It also allows translators to respond to our translation jobs and get assigned in minutes. Within each project you are assigned to you will find all the details so you know what you’re dealing with right from the start. Getting the files to be translated and uploading the translation is instant. If you have questions for the client you can send them a message at any time which will ensure fast replies and shorter delivery time. The era calls for a video, so we did that too. Demonstrating the whole process through a video will help our translators to use Tranwise in a proper and effective way. Moreover, it will remove any kind of doubts, complications, and ambiguities about the procedure. Any translator looking to work with us needs to create an account in our translation management software. Therefore, they need to first download our software. To get the link, please get in touch with us by live-chat. Once you have downloaded our software, you will need to install it into your computer. It will be easy to do but if you run into problems check our fix Transwise issues page. 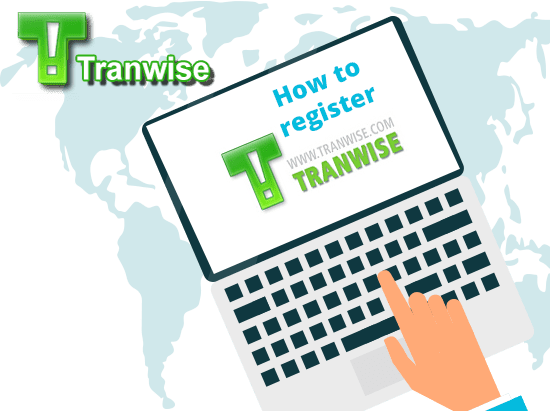 Like all other applications Tranwise too starts with registration. After opening the software, it will show you the option to register, by clicking on register, the software will ask you to fill in your credentials including your native language. After hitting the register button, you will land on a page where you can upload your resume. You have to fill in the source language and the language into which you can translate, if you have the proficiency in more than one language, you can add them in this section. During the online form filling and submission, you may have queries. We at Universal Translation Services understand the importance of communication which is why we have added our live chat option on the very registration page. Through the live chat button, you can directly connect with us anytime and we’ll be able to guide in case you need help. After registration, your info will be sent to our recruitment manager which will review your credentials and approve your account. 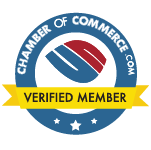 You will receive an email in regards to that as soon as your account is approved. 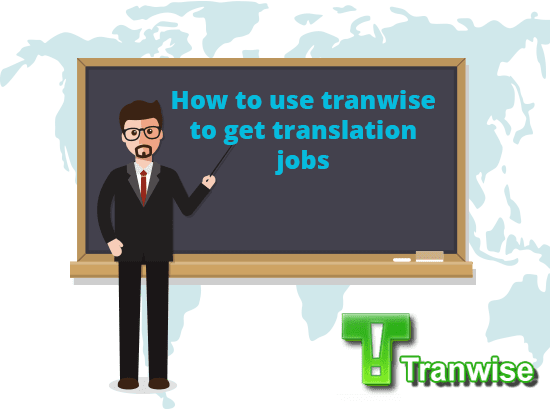 Along with your approval you’ll gain access to all functions of Tranwise and you’ll start to receive translation job notifications by e-mail. This video will go through all the options you get in Tranwise and explains how to set up your account, how to add your payment details, how to set your status and so on. After logging into Tranwise, a page opens where the translator can access projects which match his language combination. In the projects section, there are many icons on the top. Projects that are new, projects that have been assigned, projects that have been completed and the projects that have been canceled are available for keeping track of them. From the main menu you are able to access different sections of your account, like where to set your payment details which are mandatory. In the project completed this month section will appear your earnings and the number of your completed projects in the last month. In the menu bar, there is a section where you have to enter your personal details such as your phone number; the format is also being mentioned for international numbers. Another section deals with your performance where you can receive positive and negative points. For instance, if you are doing well, you will receive a plus and if you are doing not so great you will receive minuses by the company in your personal details section. This page also has options for payment requirements and status. You can also keep your payments on hold for a time specified according to your own wish. The on hold status can be changed any moment. Tranwise also gives you access to a free training section for translators where you can choose to learn about CAT tools anytime. You have to select and send a request and you will be contacted by the training manager. The main menu also offers a complete overview of your project payments. The translators can also send messages and files to the project managers in the send file and messages section. Since it is made for the convenience of the translators, it also has a message board where we post important messages or updates all the time. Translators can also message and discuss anything important about their projects on this board. This page also allows assistance in terms of providing dictionaries and terminology lists for a better translation. Tips and tricks are also provided by project managers. To access the project managers for direct assistance, this page has a section called project managers. After logging in into our translation management software, the main page you get is the list of current projects matching your language combination. The notification system will send you a notification every time a new project appears. Click on a project and you will be able to get all the details related to the given project, such as word count, the need for CAT tools, the deadline, the source language and the target language etc. A project request can be submitted on this page, you can respond to it by choosing an option from a set of options. There is also the possibility to download files of a given project. The process bar also shows the progress of the downloading files. 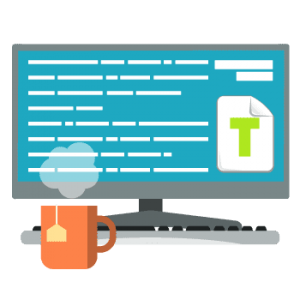 Depending on the nature of the proje4ct and your skills you can reply to a project showing your availability to translate or proofread the files. When a translator is assigned to a project, it is important to confirm the assignment. The pop-up notifications tell you that you have been assigned a certain project. When you confirm it, a notification will be sent to the project manager so that he knows you has been notified and started to work on it. In the project information sheet, there is all the important information about the project. The information is always crucial for the proper processing of the project. In case of any problem during the project, the translator can contact the project manager in charge with the project immediately. You also have the option to send messages to the client if needed. With the help of our talented project managers and our project management software, you are able to quickly receive job notifications and confirm your availability with each project. If you don’t stay around your computer all day, we also give you the option to receive translation job notifications on any mobile device. Working with UTS as a translator is undeniably the best option for translators of today. The accessibility, convenience and payment methods that we offer, we are sure no one else can do. In today’s world, translation has become more than just turning a text into another language with similar meaning and terminologies, it is now beyond documentation. Businesses are running on translation these days in order to make their information easily accessible to the whole world. with your help and by using our translation management software – Tranwise, we ensure that the process is carried out smoothly and our clients always get the best service. At Universal Translation Services, we value our translators. This is why we are available 24/7 by live-chat for any questions you may have about working with us. Tranwise, our translation management software is no exception. Even though we have provided all instructions on how to install and run the software on all kinds of devices, we are still available for further assistance through live chat if any of our linguists face any kind of issues. 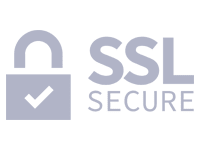 We understand that there could be difficulties that you might experience while using the software and there would be issues with which you would want help on the spot. Our live chat correspondents would instantly provide assistance and connect you to our experts for all kinds of solutions. Through our live chat, you can ask questions not only about troubleshooting but also any other Tranwise issues that you may find. For instance, you might want to ask questions about the compatibility of your system with the software. Even though we have devised a set of instructions for our valued translators for the installation of our translation.management software, we have received complaints regarding installation issues a few times. This is the reason we are providing complete assistance through live chat for installing our management software. We can even take you further in the journey by giving you all the help you need if you have any issues while running our software. Whether you are unable to follow the instructions clearly or there is an issue with your hardware, we can guide you in the best way possible. The next steps are easier but we still recognize that there could be issues that need to be fixed and fixed on time to make things work smoothly. Our live support system will always be there to provide the best assistance possible. To ensure successful management when there are multiple concurrent projects, one requires excellent time management skills. Our translation management software assists us to prioritize and support translation jobs by setting states. We have a complete overview of current jobs and we can examine current and tardy jobs and set reasonable deadlines. A genuine way of interacting with customers is always a priority, and with Tranwise, human mistakes, lousy communication or irregular processes can be easily avoided. Every step of a project is dealt with in Tranwise, from sending a quote to assigning translators, from uploading translated files to quality analysis and delivery, everything is done via Tranwise. Depending on what we need to get the job done faster, enhancements are being done to the software by our programming team, allowing us to add more and more useful features to the software. Behind any service, there’s a support team that should always be ready to answer clients’ queries on time. Tranwise allows us to quickly see the status of a project so we are able to quickly inform the client about it whenever needed. Still having issues with Tranwise?